Mexicans use the word “Fonda” to describe a local house with an open kitchen. It is a place where people traditionally come together to enjoy a mother’s cooking direct from the source. A Fonda is warm, familiar and relaxed. 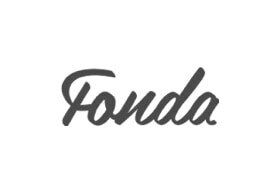 Fonda food is fresh, locally sourced and cooked with love. A Fonda is open to all comers, and embodies the philosophy: ‘My house, your house’ or Mi Casa Su Casa!